【汇编】用nasm构造一个软盘镜像-技术宅的结界 - Powered by Discuz! times 11-($-%%SFN) db " "
DB 0xEB, 0xFE, 0x90 ; Disassemble code. As an infinite loop. 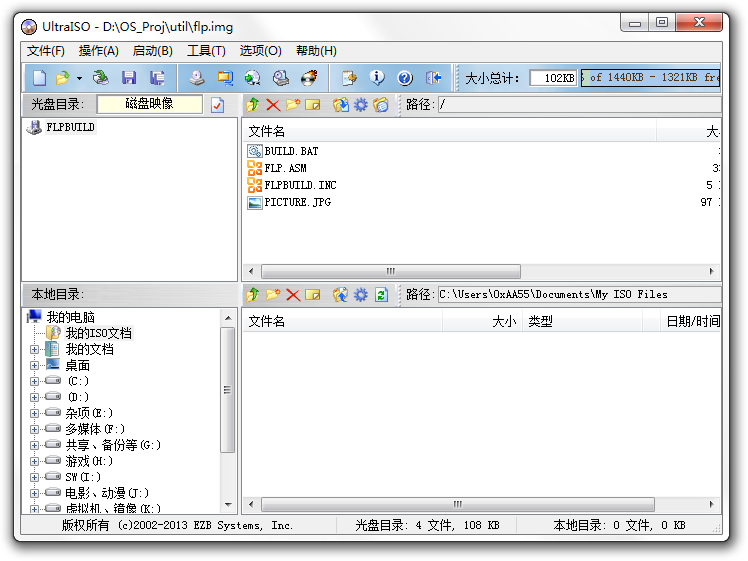 DB "ABCDEFGH"       ; OEM Identifier. For 8 Bytes. DW 224              ; Number of root directories. DD 0                ; No hidden sectors. No extra partitions. DD 2880             ; Disk size again. DB 0x00             ; 0x00 for a floppy disk. 0x80 for a hard disk. DB 0x00             ; Reserved. For WinNT use only. DD 0xFFFFFFFF       ; Volume ID. RESB 448            ; Boot code. DB 0x55, 0xAA       ; 0xAA55 signature. RESB 1474048        ; Reserve byte with 0x00. GMT+8, 2019-4-20 14:42 , Processed in 0.117865 second(s), 42 queries , Gzip On.